There is a lot growing at our house! On our anniversary we went to Thanksgiving Point where we fed the cows, pet the bunnies, and rode the wagon. On our way out we also picked up two cute little chickens. They were such adorable and loud and smelly puffballs! Then they grew up to be teenagers . . . The got ugly and louder and smellier. And braver - started attacking your hands when you put their food in the cage and jumping out whenever the opportunity presented itself. Finally we decided they were grown up enough to move outside. So here they are, all growed up in their own little cage. Outside. :) I tried to get them to smile for me, but they were too busy drinking. Typical teenagers. We haven't named them yet, because we have yet to find out if they are roosters or hens. We are hoping for the latter, because you have to get rid of roosters around here! Poor guys. 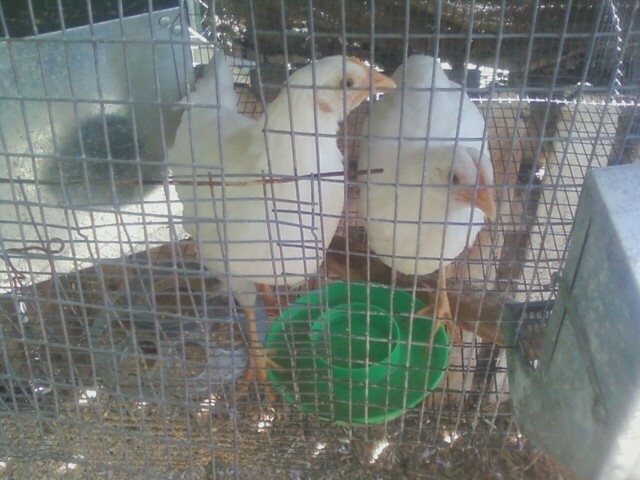 These are leghorn chickens. They will lay white eggs, in about a month and a half. We told our friends they could have them if thy build a coop fast enough. Otherwise Jonathan will just have 6 chickens on his hands (4 more than the city limit allows on our size property! Shh, don't tell anyone!). Our garden is also flourishing. 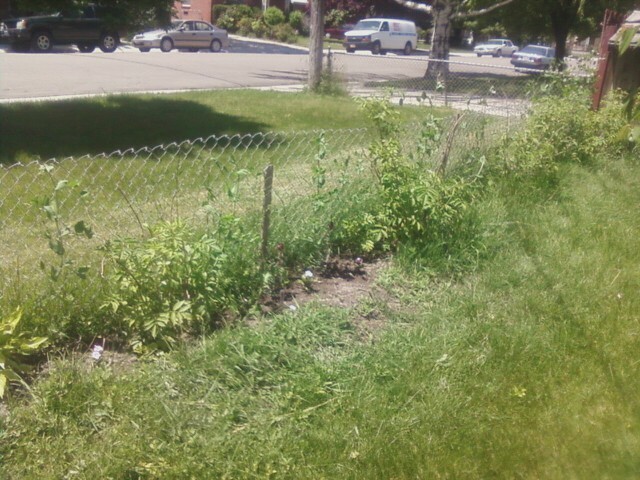 Below you can see peas growing up our makeshift fence, and the elderberry bushes that Joshua planted are doing great, too. In between the "useful" plants, Joshua let me plant some pretty flowers :). And, finally, we have rasberries and strawberries (against the fence, Joshua ate a strawberry yesterday, said it was tasty! ), squash over to the left (grew from the compost seeds of last year), and a whole lotta potatoes!!! There are a few rows of red potatoes and a few rows of yukon gold. 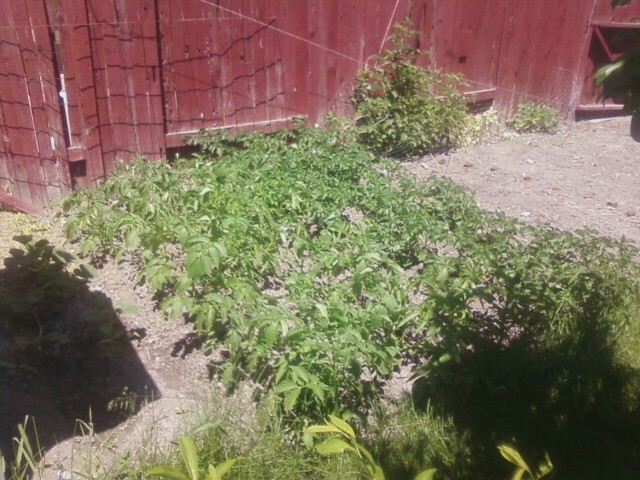 On the other side of the plot we have on tomato plant that seems to be doing ok, and one carrot. Don't knoww hat happened to the rest of the carrots. Actually, I think someone stepped on our one carrot, so we will see if that one even makes it.